Community paying their annual fee and entry fee. Community Planning and Implementation takes on an additional direction. The initiative now has an addition, that can remotely, be implemented for communities. You can request that your entire community receive a comprehensive evaluation. The evaluation begins by remotely, verbally outloud, requesting your community pay their annual fee and entry fee. This then get’s you in touch with the local community member, that can initiate the initiative. The request begins a comprehensive evaluation that is done on behalf of the community, and the individuals in that community. The request is usually initiated by decision makers for the community. Local politicians, community leaders, elected representatives, or others. The request begins a comprehensive evaluation of your community, the individuals in the community and the resources. It enables the individuals, communities and those in positions of responsibility to be eligible. The comprehensive analysis enables the community to be evaluated for several core factors that are important and essential to every community. They are evaluated socially, financially, economically, etc. Any social or community situations that could be problematic, or potentially problematic are evaluated. What is also evaluated are the needs of the community, the individuals in those communities, and resources that are available. The comprehensive evaluation, evaluates risks to the community, if any member needs to serve punitive time, which resources, known and unknown are eligible to the individual and the community as a whole. Eg. There are several initiatives that might be available to a community such as funding for special initiatives, or to the individual such as remote councilor, free medical information, etc. 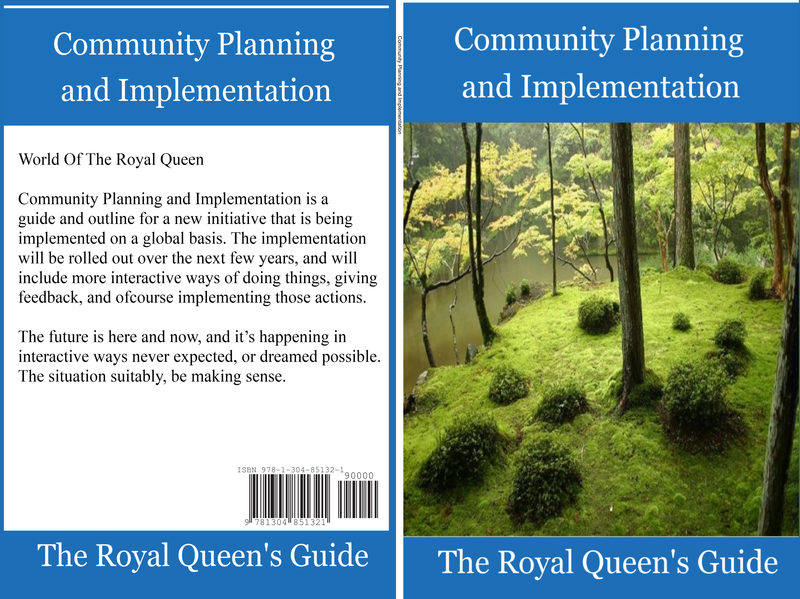 The whole process is very quick and easy, also it enables you to be cognizant if your community is eligible for additional funding or resources under The Royal Queen’s, community planning and implementation initiative. The whole community is also linked in, to other resources, that might be eligible for them as a whole or individually. Requesting that the community that you are a part of pay it’s annual fee and entry fee get’s the ball rolling on community planning and implementation phase two. This provides the entire community with a comprehensive evaluation, and enables funding that the community may not previously have had access to before. The community as a whole is evaluated. They are evaluated to see if there are any ongoing problems or issues in the community. They evaluate collectively, and individually. They also evaluate if there are any ongoing issue that need to be taken care of. The community evaluation is highly comprehensive. Similar community evaluations could take years, months, or even weeks, and cost millions upon millions of dollars. We enable community evaluation in a matter of minutes, and give you the results when you need them. That way you can begin fixing, repairing, or reevaluating the things that need to be done for your community. Funding is then doled out to the community based on this ongoing evaluation. If a community is taking care of it’s needs, responsibilities, it’s entitled to the funding that it is deserving of. Too often efforts of some communities are over looked in favor of other situation. This is a more fair, and equitable evaluation process. Funding is doled out in two parts. There is a spiritual based funding portion to the evaluation. That is doled out first. Then funding for the community is also evaluated and doled out as well. Funding is either released right away in full depending on the community, and or released on a daily, weekly, monthly, quarterly, semi-annunal, or annual basis. This way communities can make decisions, and see which items around a community need to be given priority. Community Planning and implementation links in with every aspect of the community. They do a spiritually comprehensive evaluation of the community and the individuals in the community. Community Planning and implementation then links in with the services already in the community. If they in line with the community and planning implementation requirements, they can be given the details required to bring the service up to par, with community planning and implementation. They link in with community services, local situations that make sense, and any other service, or situation that is suitable or eligible for that community and standards that are in line with community planning and implementation. They link in with the penal system, schools, hospitals, health care services, mental health care services, councillors, social psychologists, community advisors, social/community councilors, (formerly social workers), spiritual based services, The Office (Royal Threat Assessment Team Office), Maximum and minimum holding facilities. There is a new rating system under community planning and implementation. It rates the efficiency to which each community is responsible. Do they do repairs, answer calls, are they prompt, efficient. Do they use cost saving measures when possible? Are they a good neighbor? All these and many more questions are factored in to give each community a correct and accurate rating. Spiritual ratings are also factored into the rating system now, so that you have a comprehensive idea of what is ongoing. There are two kinds of community alerts. Mandatory community alerts, and additional alerts that one can subscribe to. Under the new system, places, locations, and other receive an alert if there is an incident, or if there is an individual, or a situation that is ongoing. The alert give the individual, or community a cursory view of what is ongoing, and enables you to make better comprehensive and concise decisions about the individuals using your services, or even entering your location, or premises. The second portion to the community alert is a detailed service one can pay for, it provides a comprehensive view of what is ongoing. It provides additional details, and information about incidents, thus you can have a more comprehensive view if you are the type of person that is eligible to have that type of access. Under community planning and implementation, each community is now responsible for a neighboring community, and they take care of the problems ongoing in that city. If the city has a broken item they attempt to fix it or replace it. They cover the cost for that community. If the community is wasteful, then it needs to find better way of doing things, and if there is an ongoing situation, they find ways to assist with mitigating and managing. Most city repair or replace their own damage, and in most cases that does works great, but if there is an ongoing problem, sometimes it can be hidden, or fall through the cracks. This way with neighboring cities actively involved, it’s in everyone’s interest to fix, repair, replace, the damage in an equitable time frame. Eg. The city of South Hampton for example, now would take care of Walkers Hamlet. The smaller location has several million dollars worth of damage that needs to be repaired or replaced. The items are fixed the problems are solved in a suitable manner. Thus South Hampton has a suitable rating, and has assisted with the problem, thus likely also suitable funding. The problem is not repaired or the damage keeps reoccurring. If the damage keeps reoccurring, then we know that there is a problem, or a potential problem in Walker’s Hamlet and the problem needs to be resolved as soon as possible. This would not work well towards the rating of South Hampton, because they are failing to fix the problem, that they are responsible for. The problem is fixed, but keeps occurring. Thus South Hampton is cognizant that there is a potential problem in Walker’s Hamlet that needs to be taken care of. They can then use comprehensive measures to see what the problem is, and how best to go about mitigating and managing it. The city that you are responsible for, can also assist with determining your funding. If eg. South Hampton does a good job of taking care of Walker’s Hamlet, and the hamlet is in good condition, then funding is also in part based on this. The problems are looked into and assisted with. The odd time, a major world city may participate, in assisting with community planning and implementation for an adjoining or loosely affiliated world city, town, hamlet. Most times however it is local cities assisting local cities, enabling community planning and implementation to make sense. The odd time if there is not a neighboring city near by, a city may be asked to be enabled for it’s own situations for a time, until a new city, or neighbouring bureau can be enabled. Community Planning and Implementation is similar to other initiatives, and yet slightly different. Eg. It’s not that we are not cognizant of the broken window theory, but we do things slightly differently. If there is a problem in one area, it could be a source of problems in other areas, that much is true, and problems need to be, and should be handled in a prompt, and equanimical fashion that does suitably make sense. If a individual is problematic in one area, that individual is just as likely to be problematic in other areas. Remember the information for Phase two is not in the Book/Ebbok yet, I checked.